We continue to keep an old tradition by remaining a "Moon Lodge" meaning that our stated, or business, meetings on or before the Full Moon. However, by the calendar on the right side of this page, you can see we like to keep more active than just getting together once a month. 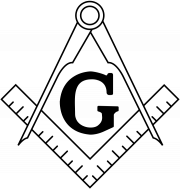 We welcome visiting brethren, a guests to stop by and spend some time with us if you're in the area. Open House Coming Soon.... Join us, with family and friends, on Tuesday April 30 at 7pm for our 94 Open House. 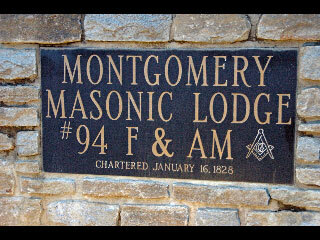 A short program and Lodge tour will be followed by desserts. Congratulations to the Montgomery 94 Fellowcraft Team for winning the First District Trophy for 2018 as the Best Fellowcraft Team in the district. Come out to a meeting to see the trophy on display in the Lodge room. Text and Voice Mail Updates are now Available - If you are a member in Good Standing of Montgomery 94, you can sign up for these features through your Grand View account, or contact the Secretary. Join us for a tour of the Shriners Hospital for Children on Tuesday April 23 at 7pm. Car pool leaves the Lodge at 6:15pm. Reservation needed to Harold Greenman. 2019 FC team..... You can find a team roster on the Fellowcraft Team page under the Contacts tab.